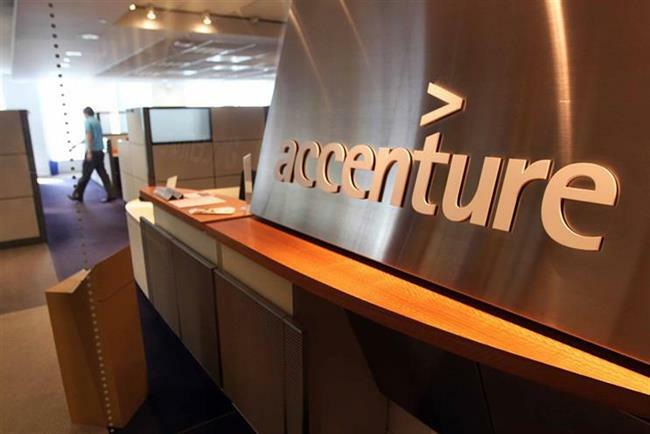 Accenture has taken another big step into the agency space by launching a programmatic media planning and buying unit. Accenture Interactive Programmatic Services will help clients to manage their programmatic ad-buying in-house and serve as an agency to plan and buy media programmatically on a client’s behalf. The unit will focus on three areas: programmatic consulting and in-housing; media strategy, planning and activation; and ad tech implementation and support. Accenture Interactive, the consulting arm’s digital marketing services division, has received "many, many, many requests" from clients who are interested in setting up in-house programmatic trading desks in the last six to 12 months, according to Anatoly Roytman, the managing director of Accenture Interactive for Europe, Africa and Latin America. He said clients want to take greater control of their media-buying for a number of reasons, including questions of trust around the digital media supply chain, the need to manage data more carefully because of GDPR regulation, and the opportunity to drive efficiencies. Programmatic – the buying and targeting of advertising on an automated basis, using algorithms – is a boom area and analysts at eMarketer have estimated 80% of digital display media will be bought programmatically in the US in 2018. Accenture Interactive has helped clients with aspects of performance marketing and programmatic media for "five or six years" but Roytman said the global launch of Accenture Interactive Programmatic Services is "formalising it" as a standalone capability. "Our pick-up is very, very significant," he said, referring to demand from clients. "It’s partly the reason why we want to formalise the offering… It’s partially being driven by regulations, it’s partially being driven by clients not trusting digital media so much." "They [clients] are interested in somebody [that can manage programmatic] who is not motivated simply by the economics of reselling [media inventory]." Accenture Interactive cited a US Interactive Advertising Bureau report, called Programmatic In-housing, which found 18% of marketers have "completely moved" programmatic buying in-house and another 47% have "partially begun the process of internalizing the function, with plans to continue further down the path". Roytman said "hundreds, maybe more" staff are likely to be involved in Accenture Interactive Programmatic Services. "Most of the media, if not all of it, will be programmatic in the near future", which means there is a potential, global market worth upwards of $500bn, he said. Accenture Interactive has positioned itself as an experience agency of record that can help brands with every aspect of the customer experience from innovation and product development to design, brand awareness, marketing and CRM. Roytman said the programmatic unit "will be part of what we do as an experience agency". Asked how far Accenture Interactive could go into media-buying, he said: "We go as far as the client would want us." He said Accenture Interactive does not want to "replicate" the traditional media agency – what he described as "making money on the arbitrage of the inventory" – but the agency will consider "everything else". Roytman added: "We want to help clients in every possible way." He maintained that Accenture Interactive does not necessarily need to make acquisitions in the programmatic space as it has already been training staff. "Most of the secret sauce comes from people who are deeply analytical. We have traditionally had many people focusing on analytics," he said. "The skills that we are interested in acquiring have to do with the secret sauce of being able to do analytics and artificial intelligence, which is a very interesting addition to the space." Roytman said there is competition in the sector from "everybody" – with many start-ups and small agencies that are "mushrooming". He predicted that "what will simplify the market in the next few months is GDPR because most people didn’t realize the impact" of the incoming privacy regulation. "There was a Wild West for a while," he said.